Ageing and other skin problems are the result of a loss of functioning in the skin. ENZYME THERAPY helps to quickly restore lost functions enabling the natural processes of the skin to return to normal. DMK is the ONLY company in the world to utilize the beneficial effects of transfer messenger enzymes to restore your skin to its peak condition and keep you looking younger. Where some cosmetic facial treatments may only act on the surface of the skin, DMK ENZYME TREATMENTS work deep within the skin at the cellular level. 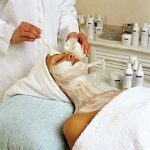 Our enzyme masques are capable of tightening the skin progressively and removing impurities from the skin cells by a process known as reverse osmosis. The enzyme treatment stimulates facial muscles enabling them to become stronger, providing a more youthful appearance. The tightening action of the enzyme treatment has the effect of exercising the facial muscles. This tones and tightens the facial muscles without having to physically exercise them yourself. The result is firmer, smoother, tighter skin. Your skin is dependent on a rich supply of blood and healthy, properly functioning blood vessels to transport the blood to the skin cells. Your face, in particular, has many blood vessels. DMK Enzyme treatments act on the blood vessels by causing them to become dilated, which allows a greater supply of oxygen rich blood to flow to the skin in order to nourish it. The back flushing action of the enzyme treatments remove impurities and stimulate the lymphatic system. The lymphatic system of the body is the filtering system for the blood. 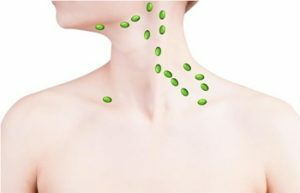 The lymphatic system consists of a network of lymph nodes, and lymph vessels found in various regions throughout the body including the face and neck. As the blood vessels and lymph nodes respond to the actions of the enzyme treatment, a peculiar effect known as the Plasmatic Effect, is produced. You can literally see this effect on the skin of the neck and face following an enzyme treatment. The capillaries stand out like a road map-proving the effects of the enzymes treatment as it goes deep enough for total dilation of the peripheral capillaries. DMK ENZYME THERAPY works because it was designed to emulate the way your skin works naturally. Now you can eliminate all your skin concerns and experience real results in the most natural and painless way possible. Contact GLO Antiaging Treatment Bar in Calgary to experience DMK Enzyme Therapy for yourself or visit us for all your DMK Skincare needs. To book your facial please call 403-455-0444 .